I'm sure you guys have already heard of the damage... yes. $97 on this little baby of mine. Oh you guys don't know the dilemma I was faced with as I stood before the Hourglass shelf at Sephora Ion Orchard. So here's an in-depth review for you guys if you're interested to try this out. So starting with the basic, packaging. 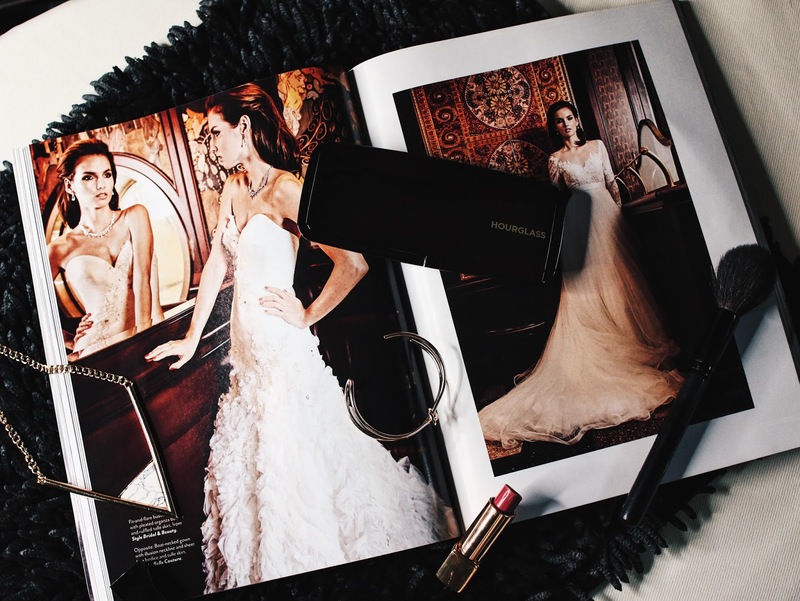 The Hourglass products all have this sturdy, luxurious packaging that come in reflective forms. At least for their powders, that is. I love how the packaging feels, and this palette is pretty slim and sleek too. The only downside is that it's definitely not finger-print friendly, and you are bound to get your eeky fingerprints on them, tainting the reflective package. 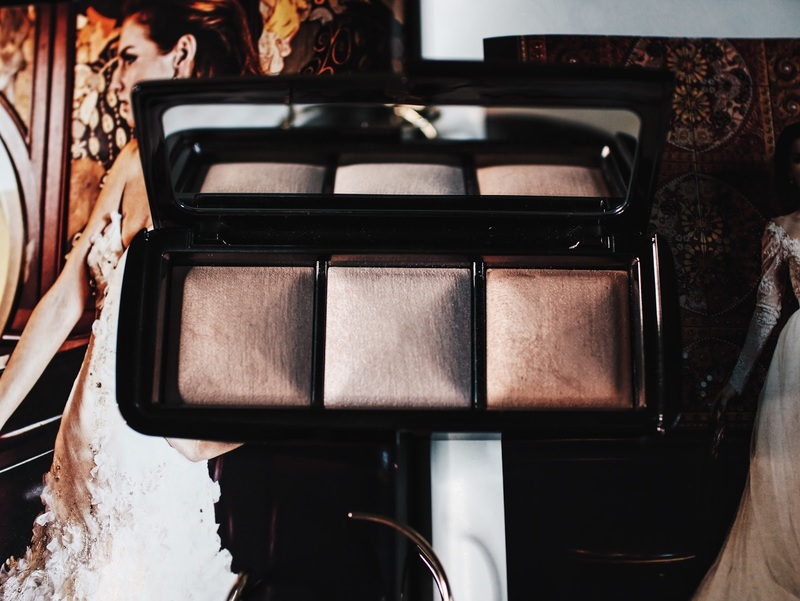 The ambient lighting powders are what everyone described them to be. Soft, creamy, super fine and just really really luxurious. I think the texture is the epitome of #goals lol. Pardon me if i used the hashtag inappropriately, people cannot keep up with times haha. I personally love Dim Light the most, because it has the least shimmer in it. Personally for my highlight, I love something with a good BAM, like the Mary Loumanizer Highlighter from The Balm. 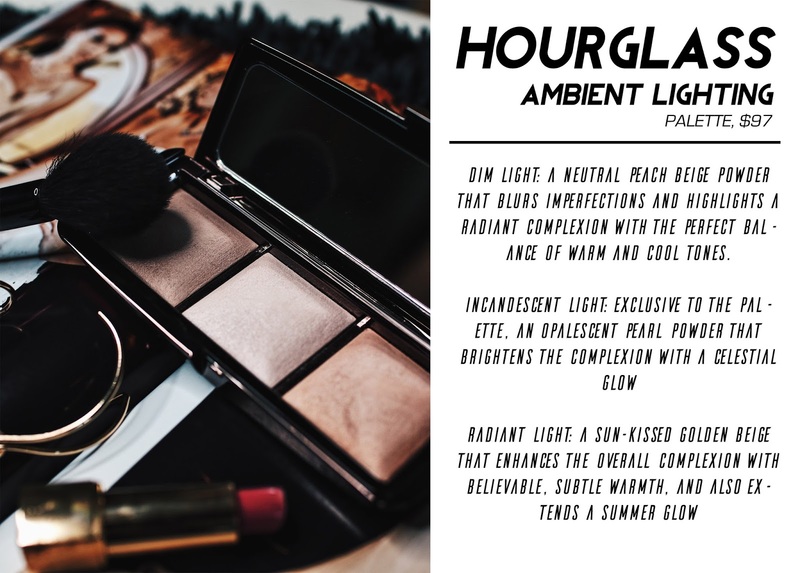 So when I tried out these powders from Hourglass, I was a little disappointed to find that the powders were a lot more sheer than the normal highlight powders in the market. However, these ambient lighting powders are not meant to be highlighters. Hourglass has their Strobing Powders for that use. 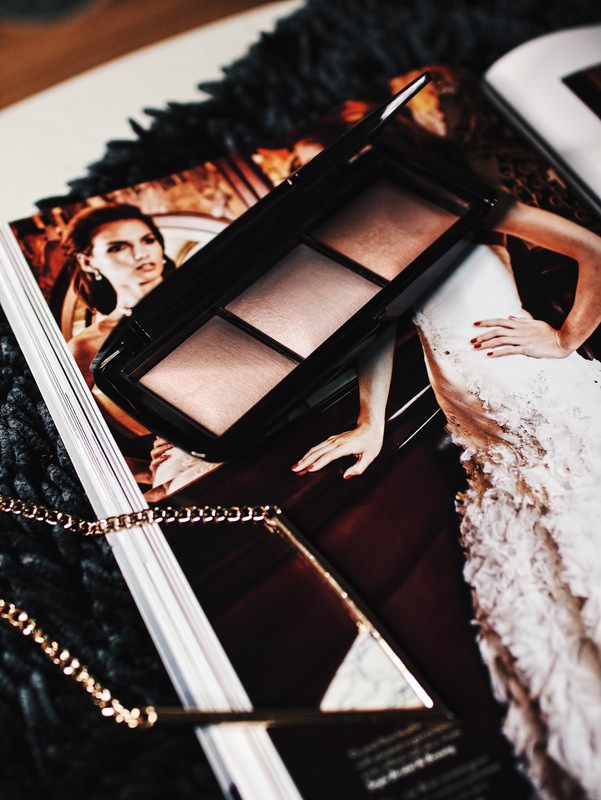 I love the ambient lighting powders for that SOFT, ETHEREAL, glow. It's almost like it's lit from within! This is the first time I'm using a powder that cant be picked up with your naked eye. It just blends and sits on your skin so beautifully, exuding a soft, natural beam from your face, making it so much softer and smoother. I also noticed that these powders do not accentuate your large pores or blemishes unlike many other highlighting products in the market. It doesn't cake either, so I've been enjoying applying Dim Light all over my face, Incandescent Light on the high points of my face and Radiant Light on my temples and cheekbones for that sun-kissed glow. Overall, I'm super happy that I caved in and bought it! I just try not to think about how much it costs hahaha because with this money I can buy 3.5x Mary Loumanizer Highlighting palette :( But well, I guess the biggest question would be "Is it worth $97?" I would say it depends. If you are VERY into the natural, glow from within look, then yes, get it because there ain't other products that can do the same thing, so chances of finding a dupe is extremely low. If you're on a lookout for a highlighter to do your everyday strobing, highlight on cheekbones look etc, then I wouldn't recommend this palette as it doesn't provide highlights that are intense enough. I would definitely recommend checking out the Mary Loumainzer I've been talking about, from The Balm, or even the Shimmering Powders from BECCA instead that are much cheaper. Even Loreal makes good highlight shades too!